A young furniture designer, Kaare Klint, was commissioned by the architect Carl Petersen to assist him in the design of the furniture for the Museum. Klint was the son of the influential Danish architect P.V. Jensen-Klint and furnishing the Faaborg Museum was his first formal project. The Faaborg Chair is synonymous with the Faaborg Museum and is an iconic work in the history of Danish furniture design. The Chair was designed in 1914 and produced in an edition of 18 along with 7 stools after the same style. The furniture was conceived first and foremost to be positioned around the main galleries and in the bays. It needed to be light enough for the Museum’s visitors to move it around. 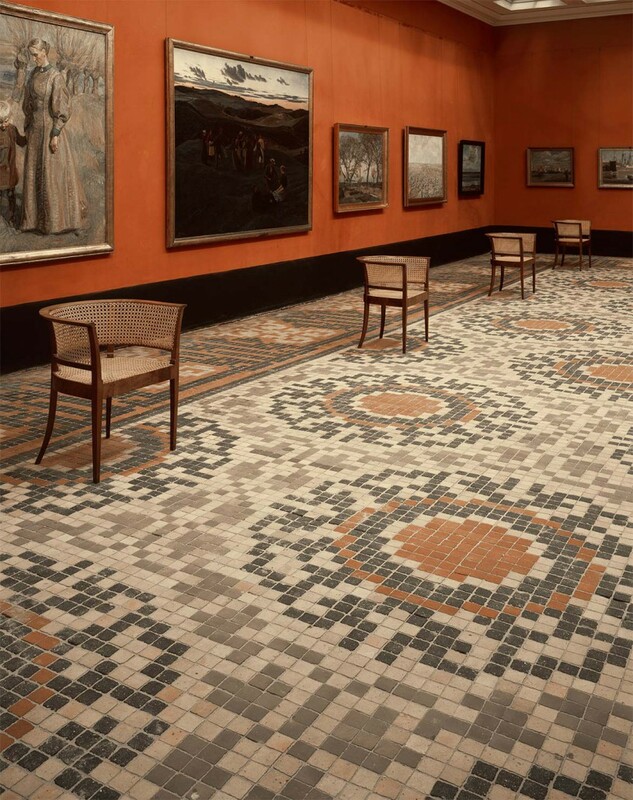 At the same time the furniture should not divert attention away from the artworks and the mosaic floors. The Faaborg Chair is also an important part of the furniture in the Museum’s fine archive, which amongst other things was used for viewing the drawing collections and for meetings. For this space Petersen and Klint also designed a sofa with leather upholstery, a table, an archive cabinet, bookcases, a bureau and a clock. 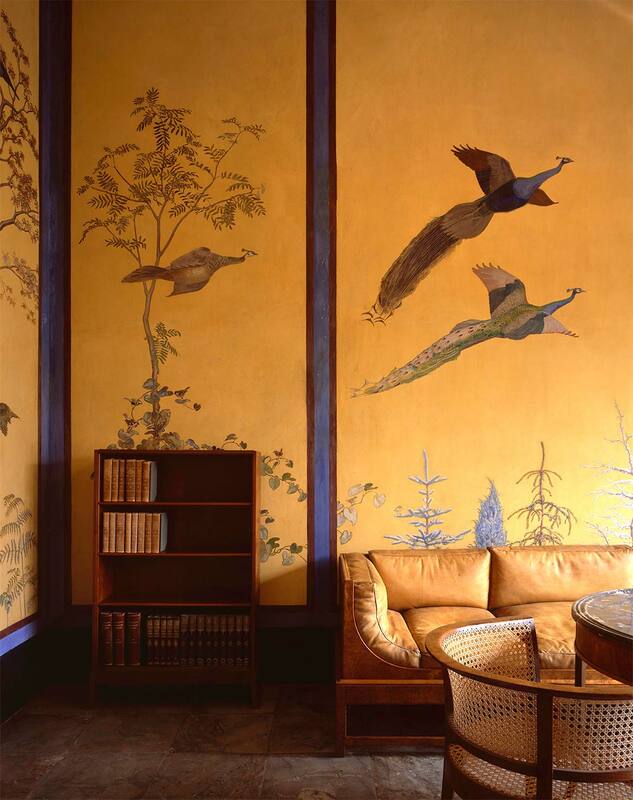 Everything compliments Johannes Larsen’s wall painting with its birds and plants. 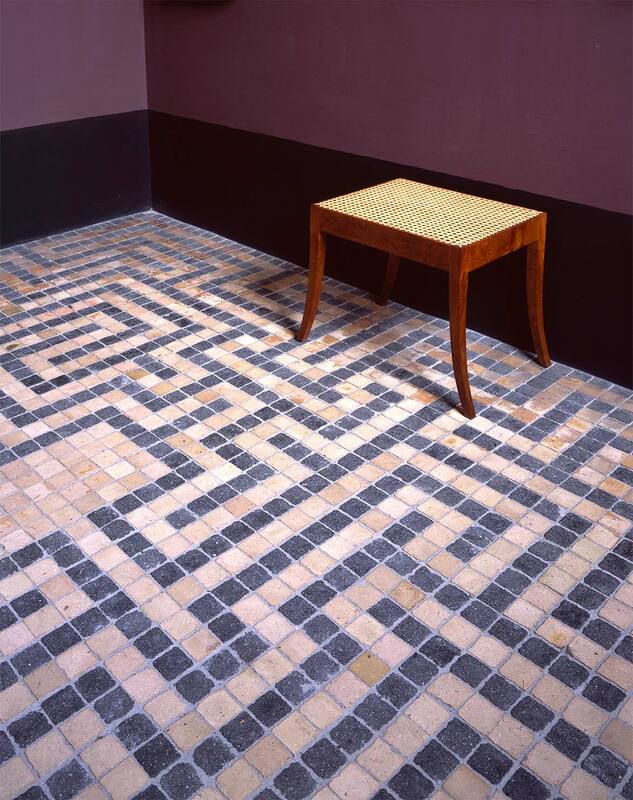 Floor mosaic in gallery bay 6 with stool by Carl Petersen and Kaare Klint. Kaare Klint’s collaboration with Carl Petersen continued for several projects. On Petersen’s untimely death in 1923, Klint took over his work on the Thorvaldsen’s Museum and the David Art Collection (Davids Samling), both in Copenhagen. Klint was appointed Professor of Architecture at the Fine Art Academy in 1924 where he combined his interest in historical materials and techniques with modern ergonomics. Klint’s methodology in analysing the function of furniture and his focus on sound materials and perfect craftsmanship influenced a whole generation of Danish furniture designers. Archive with furniture by Carl Petersen and Kaare Klint and wall painting by Johannes Larsen.